Hewes Library is located in the center of Monmouth College's campus. Hewes Library has over 300,000 books, periodicals, government documents and videos to fill your information needs. The library provide access to over 100 online databases, which includes full-text access to articles in over 10,000 periodicals, all accessible through the Hewes Library web site. In addition to our lovely surroundings, the Library includes an electronic classroom suitable for computer instruction and presentations, and an Einstein Brothers Bagels coffee shop. Throughout the building, ample study space is combined with wireless capability that allow you to use your own laptop within the library. Built in 1970, Chester and Mabel Hewes provided the $1 million naming gift. Renovation in 2001 was supported by a bequest from the Keith B. Capron estate, which was applied toward a challenge grant received from the Carver Charitable Trust, a major gift from trustee Ann Mack Collier ’63, another major gift from the estate of Virginia Braselton Flynn ’29 and an additional grant from the Caterpillar Foundation. 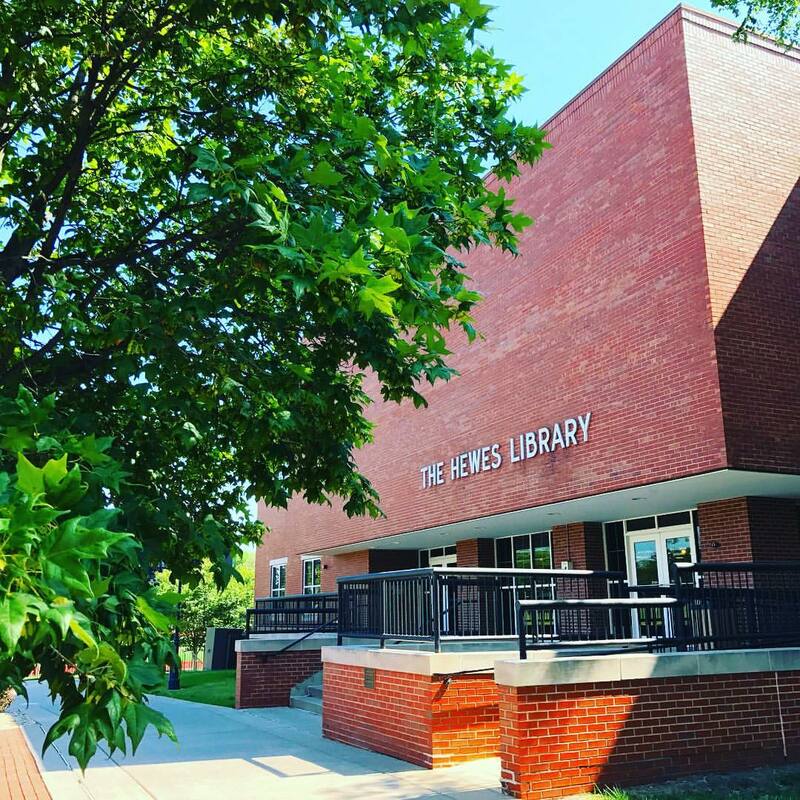 Hewes Library has over a half million items catalogued, providing access to approximately 100 online databases, 350 current periodicals in print, and over 20,000 full-text periodicals online. Established in 1860, its federal depository is the oldest continuous depository in Illinois. The main floor features a coffee shop (Einstein Bros. Bagels), the Office of Information Systems, a reading room, microforms room, open classroom and periodicals. On the lower level is a computer laboratory and the 48-seat Barnes Electronic Classroom, equipped with a comprehensive array of audiovisual equipment, including a 150-inch rear projection screen. An Archaeology Laboratory houses thousands of American Indian artifacts. The upper level is devoted primarily to special collections, which include the college archives, the Special Collections Room, a gallery for the Shields Collection of Art and Antiquities, and the Len G. Everett Galleries, which hosts student and traveling art exhibits. Plan your visit to Hewes Library with campus resources. Learn more about the Monmouth College campus and departmental offices that can make your visit a success. See 360 degree views of Hewes Library! Tip: To find Library views, hover mouse over images south of the football field and look for "Hewes Library" labels.